1969 - ca. 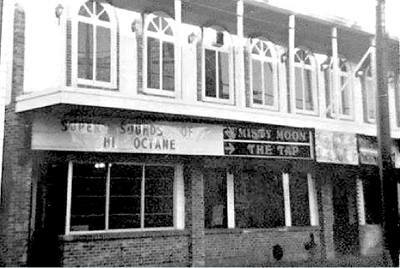 1979 The Misty Moon Show Bar, then moved to Kempt Rd ca. 1983, and finally ca to 1593 Barrington St and re-opened as the New Misty Moon. It closed in the mid-90s. The site of many gay businesses. Click here to see all the articles which reference 2215 Gottingen St.
Diamonds, open on and off and for events, until its demolition in March, 2011. Spring 2009, courtesy Google StreetView.